On May 15, British communications company Vodafone announced that its CEO, Vittorio Colao, would be stepping down this year after a decade leading the firm. Colao will leave his post in October and be succeeded by CFO Nick Read. Since becoming CEO in 2008, Colao has been integral in Vodafone’s growth into one of the biggest telecommunications companies in the world. During his tenure, Vodafone’s mobile customer base grew from 269 million to 536 million. Colao also oversaw one of the biggest deals in corporate history when Vodafone sold its stake in Verizon Wireless for $130bn (€109bn) in 2013. Colao’s successor, Nick Read, was CEO of the group’s Africa, Middle East and Asia Pacific division before becoming CFO and joining the board in April 2014. Read will officially step into the CEO role on October 1, and the CFO post will be filled by current deputy CFO Margherita Della Valle. “On behalf of the board, I would like to express our gratitude to Vittorio for an outstanding tenure,” said Gerard Kleisterlee, Chairman of Vodafone Group, in the company’s statement. 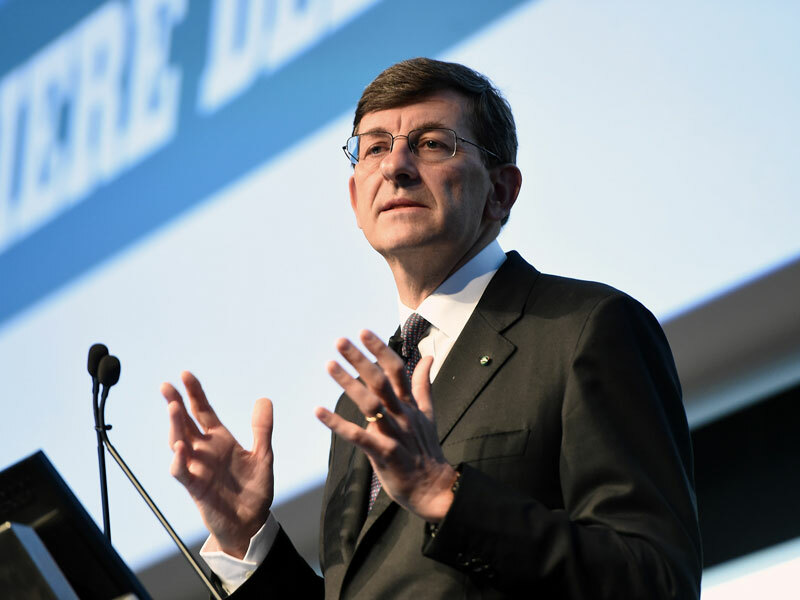 “He has been an exemplary leader and strategic visionary who has overseen a dramatic transformation of Vodafone into a global pacesetter in converged communications, ready for the gigabit future. It also comes a week after Vodafone bought a number of European assets from American telecoms firm Liberty Global, making it the largest broadband provider on the continent. Vodafone stock dropped by almost four percent immediately following the announcement, before beginning to inch up again soon after.